If you've read my blog or followed me on any social media account at all, it's no surprise that I lean way left when it comes to politics. I've been a Hillary Clinton supporter for as long as I can remember and was absolutely heartbroken when she didn't secure the nomination in 2008. That said, I fully admit that I struggled with who to support this time. (The three people following me on Snapchat know who I finally decided to vote for on Election Day.) I really love both Bernie and Hillary and saw positives to both great candidates. I think Bernie Sanders running in this election is the best thing that has happened to the Democratic Party in a long time. He's raised the bar and I think it's made our party and our nation stronger. That said, I cried actual crocodile tears as I watched Hillary Clinton give her victory speech after the win in California. I remember talking to a friend prior to the '08 election, probably closer to '06, saying I couldn't wait for her to run and win. And my friend said that she just didn't think our Nation and world were ready for a female president. I still feel shocked today as I reflect back on that conversation. I'm not looking to debate anyone here. You're either a fan or you're not, and that's beautiful that we all have that option to have a myriad of opinions. 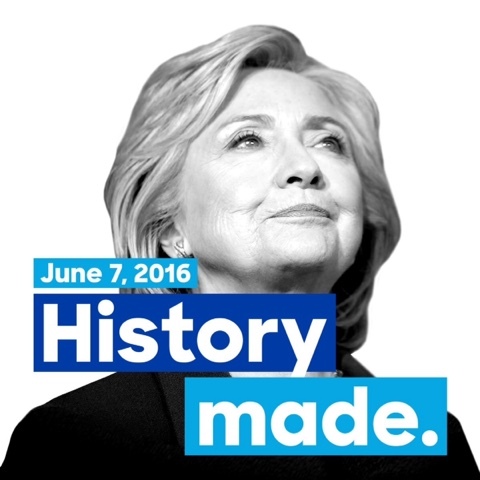 But I have cried a dozen times reliving that moment of watching Hillary secure the Democratic nomination. She did it. 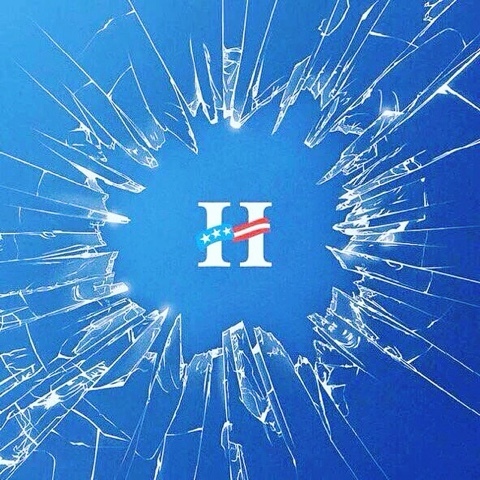 She broke that glass ceiling. She has proven to every little girl out there that they are just as capable and just as worthy and just as ambitious as little boys. From this day forward, children won't know that leaders can only be boys. And more than that, she's an amazing example of working hard for a goal, taking the long road, not succeeding on the first try, being graceful and supportive of the winner, working even harder, and finally achieving the goal. It was a long, hard road. It didn't happen overnight. It wasn't ever easy. But she worked and then worked harder in the face of so much adversity. If that's not an outstanding example of #RunLikeAGirl, I don't know what is!